Richard Koven presented a $5,000 check from Jewelers for Children to Fishline. 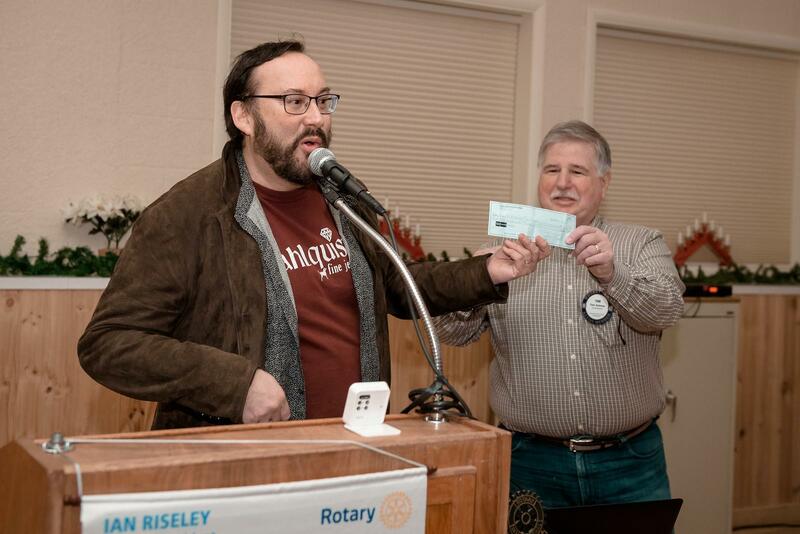 Poulsbo Rotarians did their part by voting for Fishline as their charity of choice in the annual on line give-away sponsored by Jewelers for Children. Fishline won the award only in the last few minutes of online voting, thanks to a big push right at the end! The money will help fund lunch for school kids when they are not at school. Richard extended special thanks to Michele Doyle and Mary Nader for their help in enlisting the support of the club.